Successful Direct Mail all starts with the list. Sounds simple, but it’s true. About half of your investment goes to postage, so why spend it on unqualified prospects? Credit Bureau data assures that the borrowers you attract are already qualified based on a tight set of guidelines including: verified FICO scores, mortgage types, balances, payment history, and personal credit. Loan officers shouldn’t have to worry about wasting their valuable time chasing unqualified prospects. No need to re-invent the Direct Mail wheel here. Qualified borrowers just want to know the bottom line, specifically “what’s in it for me?” A no-nonsense comparison of monthly payment savings works to get the message across clearly and concisely. It involves a simple formula of calculating monthly savings – based on their mortgage data, prompting a call for a free quote. As for format, a personal and confidential snap-pack style mailer will help improve your open rate – as opposed to an envelope that screams “advertisement” and gets quickly tossed to the junk mail pile. rtgage that saved them hundreds per month. Let’s face it, Direct Mail isn’t cheap. It is, however, one of the most proven ways to generate a steady stream of revenue. Think about it, even at the most conservative response rates, you’re talking to pre-screened, qualified prospects calling you directly to apply for a mortgage – imagine how great that conversion rate can be. Another way to spread your mail budget is to ask for volume discounts by pre-paying for the list and printing cost upfront. Also, postage is a pass-through cost, and in most cases can be paid up to the time of each drop date – meaning up to ½ of your budget can be deferred over time. It’s amazing how many marketers have been burned by unscrupulous business partners. Don’t let that happen to you (again?). 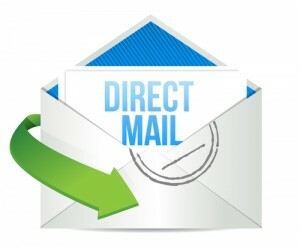 Mortgage Direct Mail can and will succeed when managed properly. Let’s recap how to accomplish that: target the right prospects, develop a compelling mail piece, control your timing, maximize your budget, and choose the right partner. At Idea Engine Marketing, we have the expertise to manage the entire process for you, with complete transparency, and with prices starting as low as .49 cents per mailer, out the door. If you’re serious about taking your marketing to a whole new level, contact us today for your free, personal consultation.